Ask a female friend of yours if she's ever been groped at a concert, and the answer will most likely be yes – either she’s faced having hands on her body without consent, or she’ll know someone who has. The same anonymity of a crowded gig that makes an audience feel like home also enables sexual assault for countless women who become victims in a space that should only encourage happiness and love. Hannah Camilleri of Glasgow, Scotland was one of those victims, and she had a story to share. After being groped at a Peace show, she recounted her experience to her friend Chloe who then tweeted about it. The tweet caught the eye of Peace member Harry Koisser, who responded with his disdain. It was that incident that became the catalyst for Girls Against Gig Groping, a collective of five teenage girls battling the epidemic of sexual assault at shows. The girls first met through Twitter, and they finally convened at a Paolo Nutini show this past September. Collectively, they’re based the UK. In less than two months, the group of 15 to 17 year olds – comprised of Hannah, Anni, Anna, Ava and Bea – has attracted the attention of plenty of musicians, including the 1975, Circa Waves and Slaves. 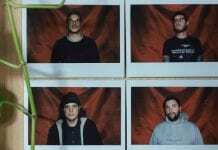 Their Twitter followers include the likes of Enter Shikari, Senses Fail, PUP and Fearless Vampire Killers. Their story and initiative has gained traction around the UK already, earning them coverage from NME, BBC, Huffington Post UK, Daily Mail and the Independent. The five maintain a strong social media presence on Twitter, Tumblr and Instagram and attend shows to promote Girls Against – all while juggling school and homework. “We’ve started by raising awareness, so we’ve been getting in contact with bands and trying to interview them on their point of view. 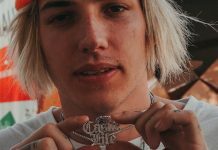 Starting a discussion is really important and often they’re able to come up with different and new ideas that we aren’t able to think of,” said Girls Against in an email statement to AltPress. 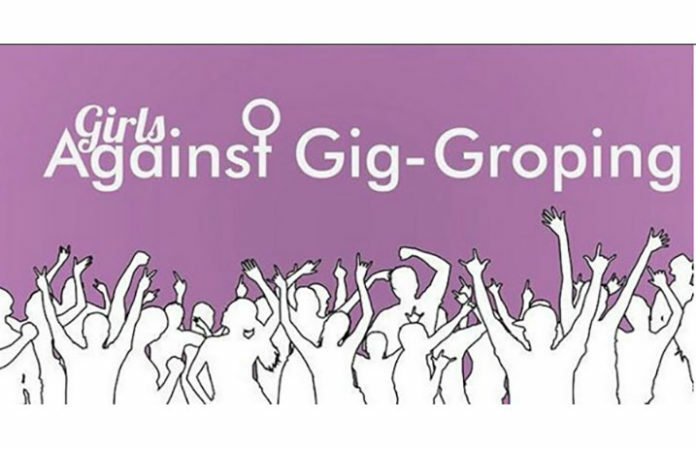 By sharing the stories of women who have faced sexual assault and bringing the problem of gig groping into the public eye, Girls Against hopes to combat the issue. Their massive Twitter and Tumblr followings give them the venue to share these stories and a way to connect with musicians, such as Peace, to further their initiative. Despite the name, Girls Against insist their mission extends beyond just girls. GA was the brainchild of intersectional feminists, and is intersectional in its mission. After all, sexual assault transcends the boundaries of race, class, age, sexuality and gender. As encouraging as it is that this issue is finally being brought to the forefront, it reveals a dark side to the scene: These aren’t isolated incidents. Girls at gigs across the globe share these experiences and have been silenced. And that’s dangerous. What these incidents do is take a space that should be inclusive, accepting and safe and couch it in fear. And when they aren’t discussed, it allows that space to exist in perpetuity. There’s a convenient perception that romanticizes rock shows: Everyone is sweating, screaming the lyrics, and existing in the moment of loving the band they’re seeing. And that may be true, except for the woman who can’t listen to that band after that show without thinking of her assault. And that’s exactly what GA fights against. They take those spaces and make them safe again, most acutely by gaining the support of artists. 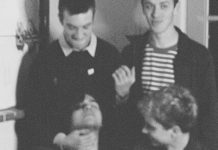 When Matty Healy says he won’t stand for gig groping, 1975 fans listen. There’s power in the fact that both men and women, both assaulted and assailants and bystanders alike, will listen. Plenty of bands have used their public position to endorse the mission of Girls Against, but the responsibility of ending gig groping falls on the audience. What can we do to help? It starts with speaking up. Man, woman or otherwise – it is your responsibility to report sexual assault when you see it happening. Call out the assailant. Yell for security. Do what has to be done to make sure people aren’t getting away with assault, because being a bystander is just as bad as participating. That also means having discussions with people who don’t understand gig groping or don’t see it as an issue. There are still people who believe misogyny in the scene has been conquered just because Hayley Williams and Jenna McDougall do the music thing. Don’t let them believe that. “Getting the support of the fans has been a huge priority with us. These are the people going to the shows, and if the crowd are more aware that it happens, then the perpetrators are less likely to do it as they know they’re more likely to get caught and pulled up for it. Ultimately, we would love to collaborate with security companies and festivals across the country. We want to make sure that learning to spot and deal with sexual harassment is a mandatory part of training and that security guards become more approachable,” said GA in an email statement. You also can represent GA. The ladies of GA travel to gigs around Scotland and the UK with their badges, giving them out to musicians and audience members. They’ll be at the T in the Park festival next year. For non-locals, however, in the works right now is an online merch store, which GA hopes to have up and running soon. The girls also are working on a representative program in which volunteers will serve as GA reps at shows around the world. “If time and money wasn’t an object then we would be doing so much! It’s quite difficult to find the balance between schoolwork and this, but I think we’re getting there! We would love to have more merch out and do limited edition collaborations with other recognized feminist activists and campaigns. We’d love to travel across the UK as well, going to gigs and speaking to fans from other parts of the country/world,” said GA in their email statement to AltPress. Until then, the only ones that can change the culture of the scene are those who are a part of it. None of us have to stand for sexual assault, especially in venues that feel like second homes with bands that feel like family. We should be striving for an environment in which fear isn’t a given. We should want to create a culture in which a woman’s first response to assault at a show isn’t “Not again.” It’s up to us to uphold the mission of Girls Against, and take back our scene for our own sake.